The Delhi University also known as the University of Delhi is a well-known and recognized university that is located in New Delhi. The DU is known for offering various graduate and post graduate course to the eligible students every academic year. In order study your desired course in DU, you must appear for the Delhi university entrance exam, based on which the seat shall be allotted with. Every year the Delhi University shall be releasing an official notice regarding the registration date, exam date and with other details regarding their admission process. The DU Entrance Exam 2018 official notification has been released for this academic year. The DU Entrance Exam date 2018 for both the Under Graduate and Post Graduate courses shall be conducted between the third and fourth week of June month in this year. Check Top Entrance Exams in India which are going to held in 2018 Year. 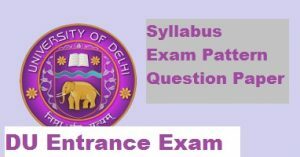 Once you have got an idea about the syllabus, you need to know about DU Entrance Exam pattern that shall be followed in this year’s entrance examination too. The answers for the questions must be marked using the OMR (Optical Mark Recognition) sheet. 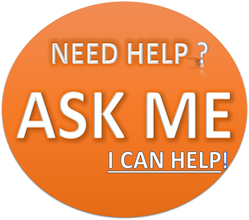 Each course shall have separate type of questions based upon the subjects and the course the aspirant has appeared for. Both the UG and PG entrance examination question paper shall have objective type questions in them. The entire duration of the examination shall be a two hour long one. Four marks shall be credited for every correct answer that has been marked by the candidate on the OMR sheet. There is a negative marking system of the aspirants who are appearing for UG entrance examination and one mark shall be deducted for the wrong answers. These are the updated and latest DU Entrance Exam Pattern that every other aspirant who is looking forward to study under DU must note with. The DU Entrance Exam Result 2018 shall be officially released on DU’s web portal. The result shall be declared during the first week of July in this year for both UG and PG entrance examinations. Once the DU Entrance Result 2018 are officially published, the shortlisted candidates shall be called over to attend a Group Discussion session, followed by a personal interview to study under Delhi University. A candidate shall be considered to pursue his studies under DU by checking out his performance in the entrance exam, and then in both group discussion and direct interview method. Before appearing for DU entrance examination, the candidates are requested to check with previous year DU Entrance exam question papers that shall help them prepare for the examination. It’s a must to check with these DU Previous year question papers subject wise, as many number of students shall be appearing for the same course with the Delhi University.